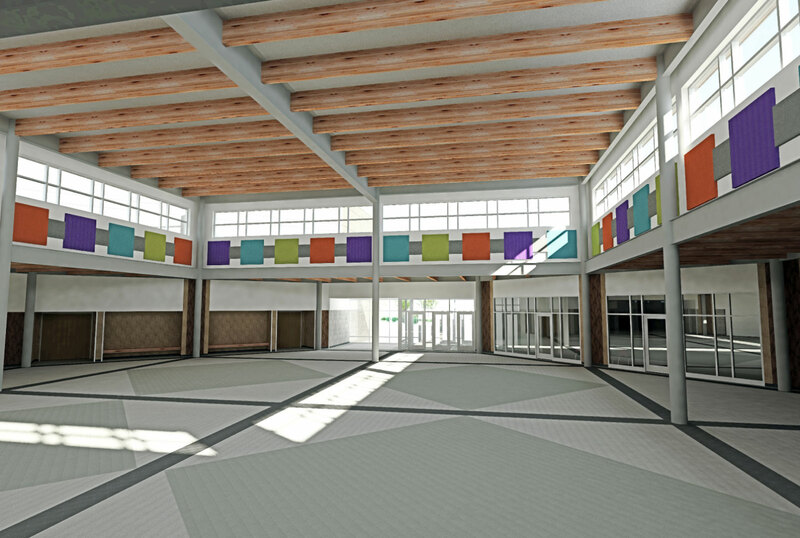 With 70% voter approval, the West Fargo School District proceeded with the building of a new middle school. 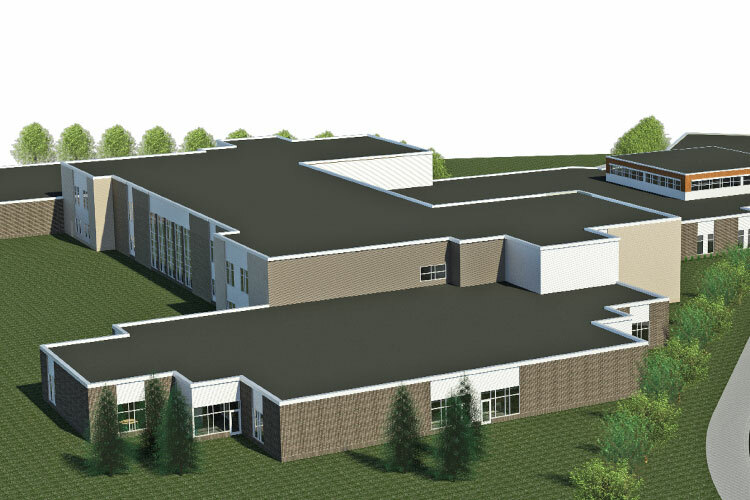 The middle school supports an enrollment of 900 students in grades 6-8. 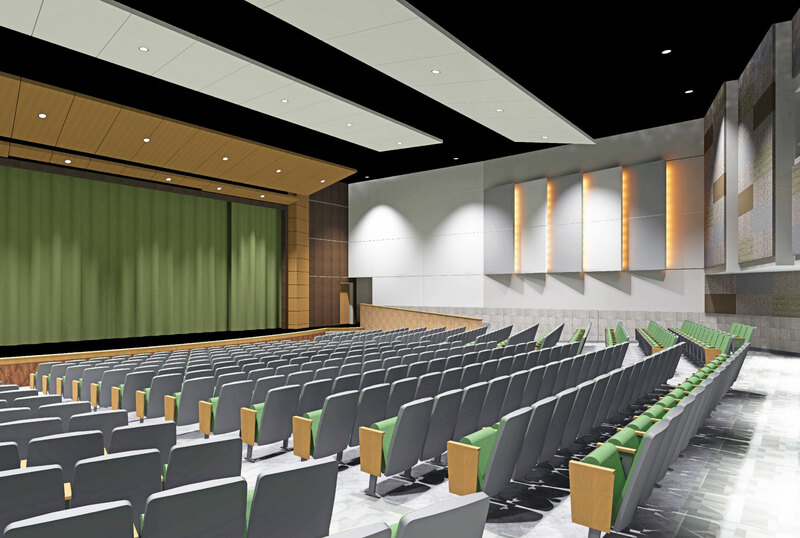 This new school includes a 500 seat auditorium, 2 gymnasiums with bleachers, and a 2 story commons. The academic wings are divided into grades. 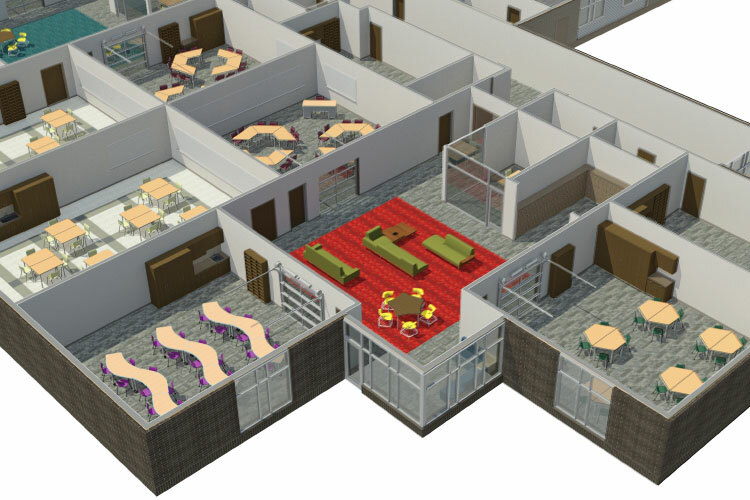 Each grade has 2 smaller “houses” of students, with 4 academic classrooms which open with glass overhead doors into common “team centers” for project-based learning, collaboration and small group work. 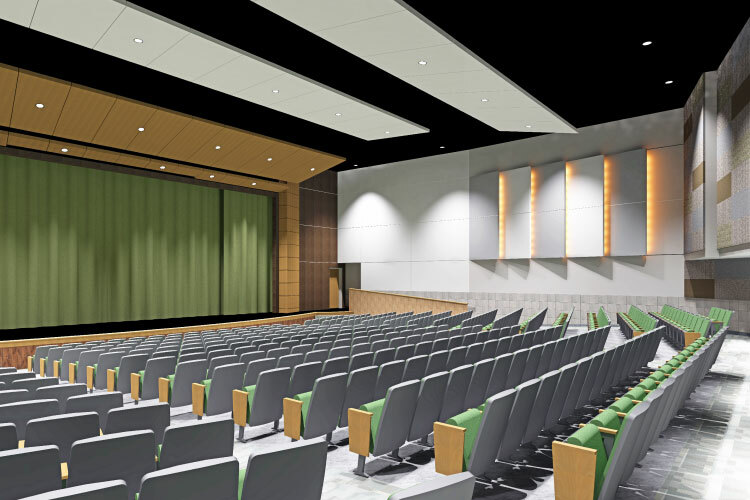 Each “house” can function independently adjusting their schedules accordingly or can come together for shared events such as elective (encore) classes for Career and Technical Education, Art, FACS, dining, athletics and performances.